This mains extension plugs into your wall socket and lets you run up to four devices from your original one power outlet. 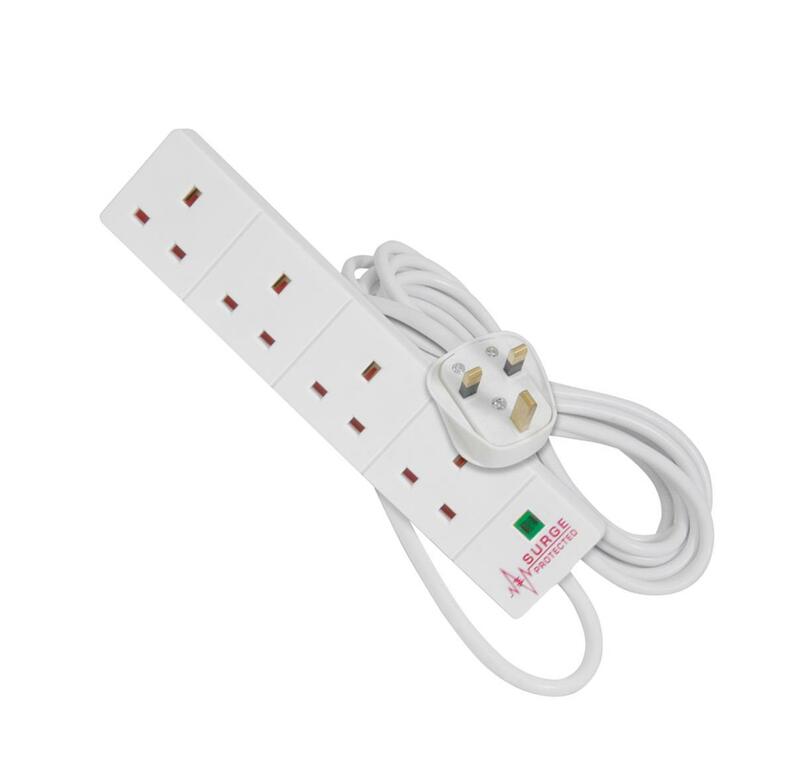 The sockets include surge protection, which is adviseable to use with expensive electrical appliances such as Personal Computers and Stereo's. The handy 2 meter cable gives you better reach to any short cables you may want to want to plug in. The Extension runs at a maximum of 3120 Watts and 240 Volts.